Come see us at the SHOT Show next week, January 22-25 in Las Vegas! SAME BOOTH NUMBER AS LAST YEAR: 10075. We are in the far south-east corner of Level 2 (the large main floor). 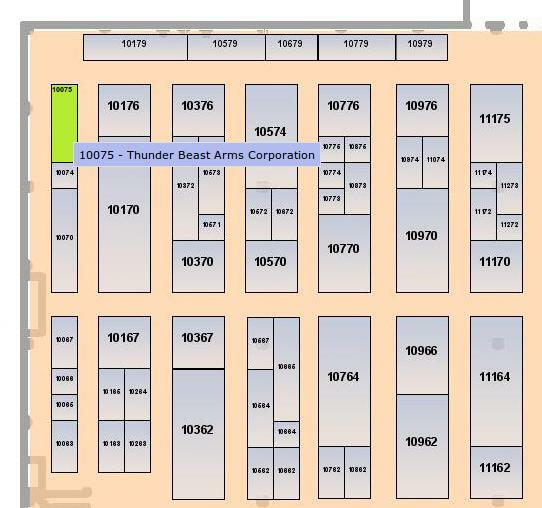 This is the “top left” on the SHOT Show Floor Plan Map. If you know where MAGPUL is, we are just a couple rows past. During the week of Jan 22-25, please email us for orders and questions. Our staff will be manning our booth at SHOT and we will have limited staff available to answer the phones back at the home office. We will be accepting 338 ULTRA SR and TBAC BIPOD orders starting when the show opens on Tuesday (8:30). If you want to order one of these but aren’t at the show, please email us no earlier than 8:30 PST Tuesday.